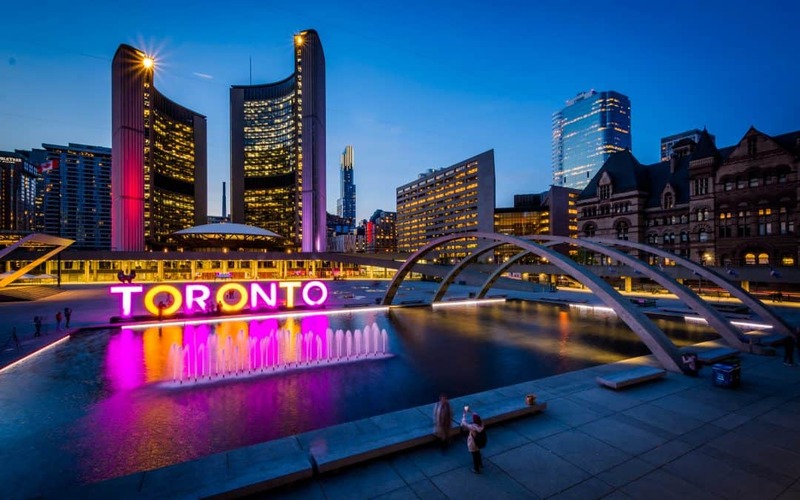 Pastor MacGregor Sr and Evanglist Bill MacGregor have graciously agreed to sit down for an interview with the Faithful Word App to tell us about the exciting blossoming church in Toronto Canada that will soon be spreading all over Canada! Saved as a young boy, as he believes in once saved always saved and salvation by faith alone in Jesus Christ, in 1959 he started living for the Lord and became a deacon one year later. Rejecting “repent of your sins theology,” he has grown up under influences like Jack Hyles in Hammond Indiana, and Tom Wallace in Louisville KY, while disagreeing with the positions of Dr. Ruckman and Sam Gipp. 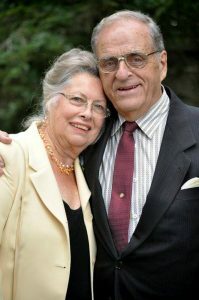 He and his wife of over 60 years continue soul-winning to this day. Pastor MacGregor goes out with the church twice a week, and is beloved of his congregation. Pastor MacGregor was ordained out of BethHaven Baptist church in Louisville KY under the direction of Pastor Tom Wallace. He and his wife have 55 grandchildren. Leaning towards Post-Trib Pre-Wrath Position, currently under study by Pastor MacGregor. Quote “I Think Anderson is having an effect on me” and he has a lot of great scripture behind his preaching. The church started in January of 2018 and currently runs 34-40 in services. For the mega-marathon they had 27 soul-winners, and 32 salvations. In the Past, American missionaries were very successful. But now they need Canadians to stand up and do the work because Americans that try to come to work the fields ready for harvest are banned. “They can’t ban us, we live here. Someone has to train the men and send them out.” Pastor MacGregor’s heart is exactly this, to train men to preach and start churches. Pastor MacGregor says “I’m sick and tired of the way churches are going, no one is getting saved. No one is soul-winning in the old IFB. King Saul was jealous because David was getting his 10,000’s and Saul was only getting his 1000’s. If there is better preaching, I want the men to surpass me in every area. I’ll be happy if they exceed me in every area. It’s glorifying to God to get folks saved. The churches have failed in that area (IFB’s, Fellowship Baptists, Gospel Churches). There’s no one that I know of getting saved in Toronto (by these churches). I’m coming in, if God keeps me here for the next 5 years, to stem the flood of dead-ness and wake them up to reality that Christ wants to see folks saved and become soul winners themselves. 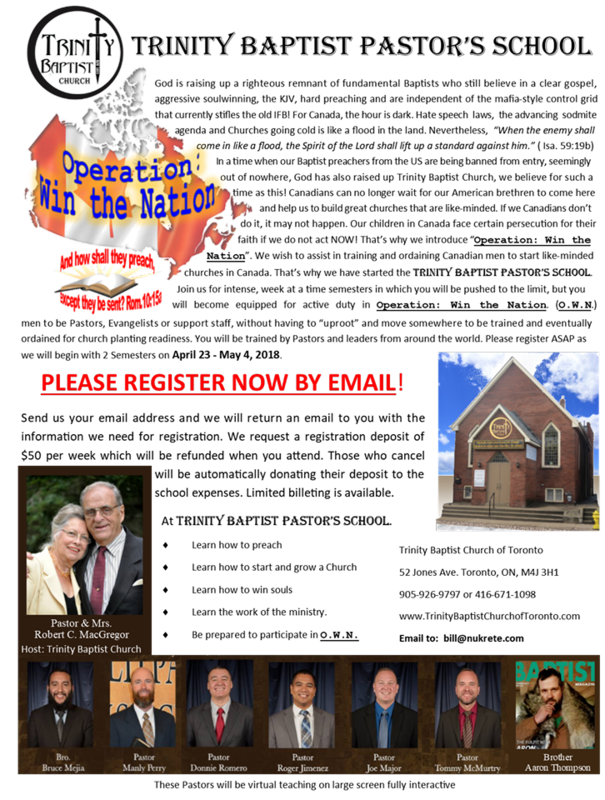 as well as on sight training by Pastor MacGregor and Evangelist Bill MacGregor. Pray for the baptisms every Sunday. Pray for the men going to the soul-winning conference (around 20). Pray for the Pastor and his wife’s health. Pastor MacGregor is 85 and in perfect health, but prayers make a big difference in the ministry of a man that knows that every service could be his last he preaches. Pray for Pastor MacGregor in his studies on the Post Trib Doctrine. 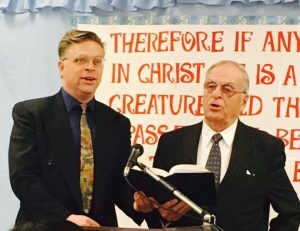 Neither Evangelist Bill MacGregor or his Dad were post-trib upon starting the church, however the conversion for Evanglist Bill MacGregor came about last month because of learning the doctrines of the Bible with the help of Pastor Anderson. They have stumbled into this movement of doctrine that we believe, and people gravitate to the church because of the doctrinal stand. 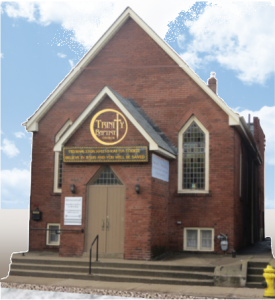 Pray that this church become a shining light in the Canadian World.